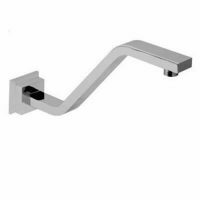 The Elle Cobra Hand Shower & Rail is a versatile and stylish rail shower unit which is ideal for use in contemporary bathrooms and master ensuites. Featuring a modern and practical design and 5 settings, the Elle Cobra Hand Shower & Rail will completely transform your showering experience. 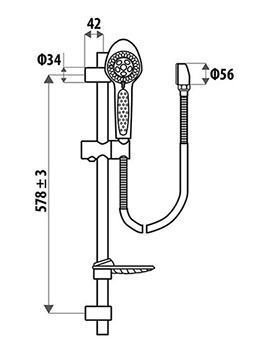 The Elle Cobra Hand Shower & Rail features a chrome finish and comprises a hand shower, a hose, a rail, and an elbow unit. This rail and hand shower unit is as functional as it is stylish. It offers 5 spray settings, including normal, normal/massage, massage, mist, and normal mist, and it includes an ergonomic rubber grip. Moreover, it is adjustable on a brass rail, which features a soap dish, and features a high-quality double interlocking hose. 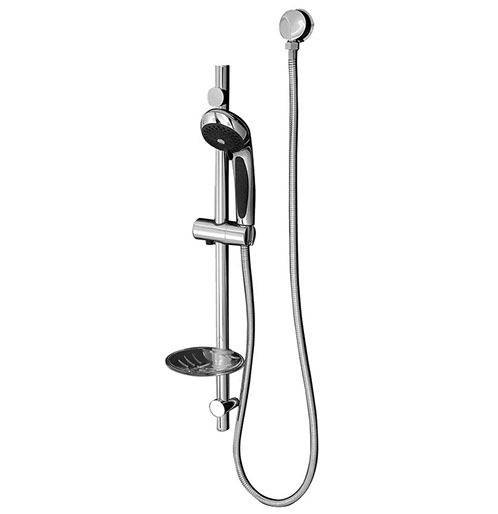 Enjoy superior quality with the Elle Cobra Hand Shower & Rail. It exhibits top-notch artistry and is manufactured to the finest standards of quality. As a measure of quality, it is rated 3-stars with WELS, has an 8 litre per minute flow rate and is backed by a limited lifetime warranty by manufactures, Linkware. For versatile and stylish hand shower and rail units, choose the Elle Cobra Hand Shower & Rail available at Ross’s Discount Home Centre. Buy this unit at the lowest possible price from our online store today!